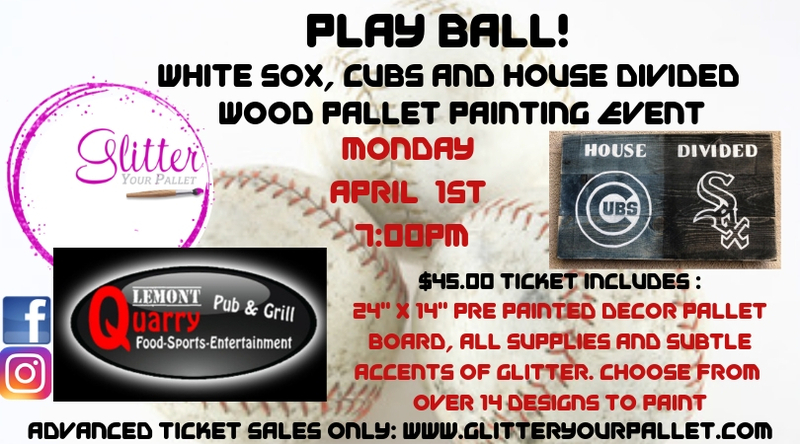 Quarry Pub & Grill welcomes Glitter Your Pallet for the “PLAY BALL” Baseball event. 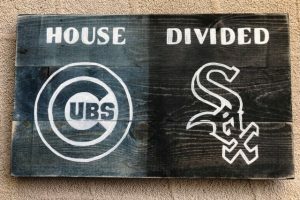 This includes the House Divided, White Sox, Cubs and personalized baseball lace board. Join us Monday April 1st @ 7:00pm. HUNGRY? Arrive early and enjoy a variety of shareables, wraps, burgers, soups & salads. Really hungry? Try the Qbar favorites. THIRSTY? A full bar is available for purchase including IPA’s, Stouts, Ciders, Sours and Fruit beers. Including the local Lemont Brewery, Pollyanna. $45.00 per person includes pre-painted white washed OR 1/2 navy 1/2 black decor pallet board. Choose at check out. Size is size 24″ x 14″ and all supplies, step by step guidance and subtle glitter accents are included. 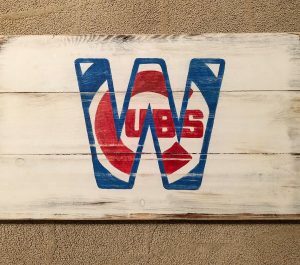 $45.00 per person includes pre-painted decor pallet board. Size is size 24″ x 14″ and all supplies, step by step guidance and subtle glitter accents are included. Choose from over 7 designs the night of the event. 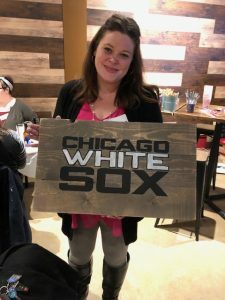 $45.00 per person includes pre-painted creamy white washed decor pallet board. Size is size 24″ x 14″ and all supplies, step by step guidance and subtle glitter accents are included. 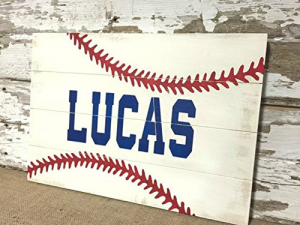 Have it personalized with your child’s name or your last name.